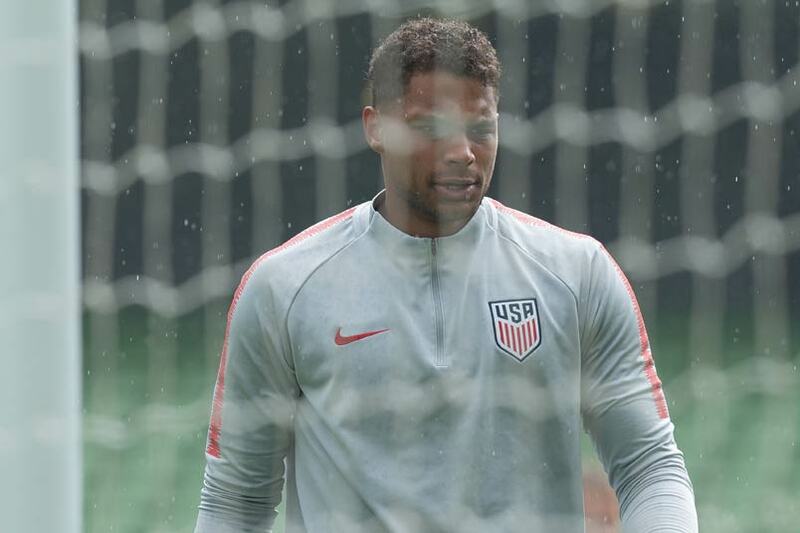 Zack Steffen left an elite college program for professional soccer in Germany, making a statement of intent about his future in the game. Joining MLS, he quickly became the starter for the Columbus Crew. A breakout season 2018 earned him the MLS Goalkeeper of the Year award and his first caps with the USMNT. In December, Steffen signed with Manchester City returning to the Crew on loan. Winner of the 2018 US Soccer Male Athlete of the Year award. "It's an honor to be put with those names that have won before me and to have the respect and confidence from teammates, coaches and staff. I'm thankful for my support system. Without them I couldn't have done any of this. It gives me motivation and confidence to keep going and do bigger and better things." 2019: Started against Panama on Jan 27 and Costa Rica on Feb 2. 2018: Made his USMNT debut against Bosnia and Herzegovina on Jan 28. Started against Paraguay on Mar 27. In goal against France on June 9. Finished the year with six caps winning the US Soccer Male Athlete of the Year award. 2018: MLS Goalkeeper of the Year with the Crew playing in 29 games. Joined Manchester City on Dec 11, returning to the Crew on loan. 2017: Won the starting job in Columbus. Made 34 appearances. 2015-16: Made 14 appearances for Freiburg II in Germany's Regionalliga. Signed with the Columbus Crew in July, 2016 and joined the Pittsburgh Riverhounds on loan making nine appearances. 2014-15: Joined Freiburg in the Bundesliga. Youth and College Soccer: Played for youth team FC Delco and the University of Maryland in 2013 and 14.